Products | Umlaut Software, Inc. The VoxPort family of products includes SlideVault, VoxPort Enterprise Server, and more. The VoxPort Image Management Platform: Designed for research . 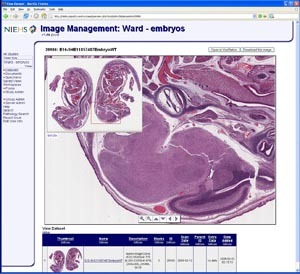 With VoxPort Technology, your researchers will have all of their images accessible online from any location. Login to the website and everything is at your fingertips. The evolving VoxPort platform is designed with the needs of researchers in mind. Users can add subject metadata, make measurements or add textual comments to regions of interest. You control who has access to your images. Large quantities of HUGE images: routine . VoxPort can grow seamlessly by adding more storage and processor nodes. Slides over 500 megabytes and 3D stacks over a gigabyte are the norm, not the exception. It can support a single slide scanner or a comprehensive imaging facility collecting many different modalities all in one place. 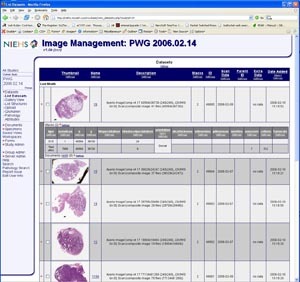 VoxPort technology has been used for years by MRPath’s imaging services group, delivering data to researchers worldwide including the NCI and NIEHS. By storing your digital images with VoxPort Technology, you control who can make changes or delete files. Additionally the system automatically makes copies of your images in multiple locations, so you will not lose data in a disaster. Many offer a solution; Umlaut will build your solution. Umlaut focuses on making VoxPort the solution to your image management needs. Our platform utilizes a rapid development toolbox so it is easy to integrate with your equipment, your software infrastructure, and your workflow, or make a completely custom solution. 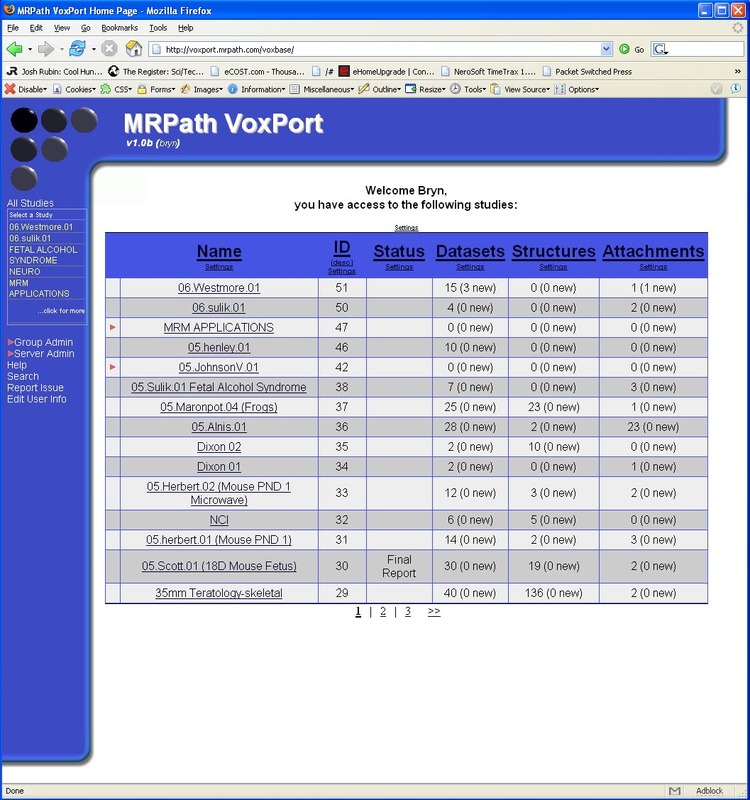 We expect all VoxPort systems to have some level of customization. We include customized metadata and ontology configuration with our base system and provide a wide array of services to tailor the image management system to your needs. 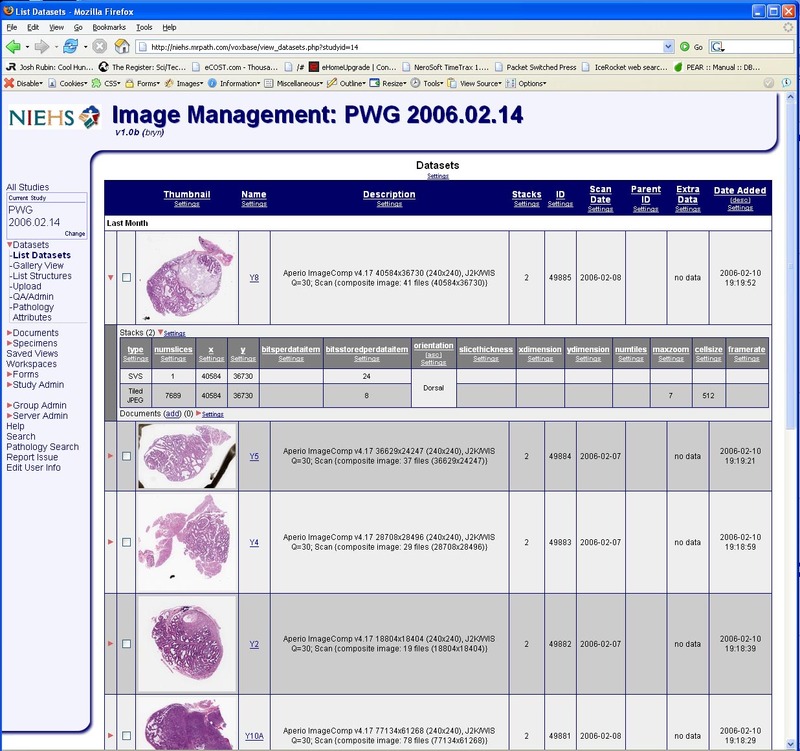 Your workflow may require certain forms, data and changes to our platform. We can write custom views, forms and wizards to match your processes so that you may continue to use tried and true methods. Interested in using a different authentication scheme? We can develop a way to work with it. 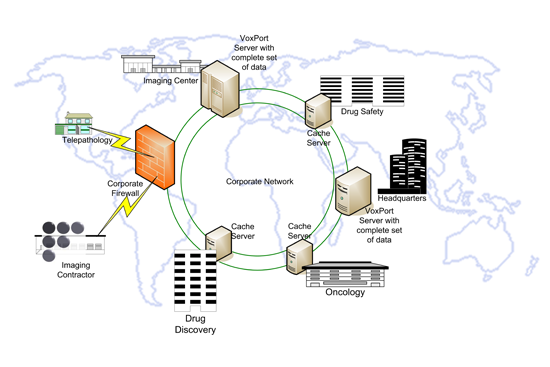 We can build bridges to existing databases or image data. We can also develop custom programs for batch import or update. If you need GLP, 21 CFR part 11, HIPAA, or Sarbanes-Oxley certifications we can work with you to build a system that achieves compliance. Our typical database server is a dual processor Dell PowerEdge ™ 1850 1U rackmount server with redundant power supplies, and SCSI hard drives. Our typical image processing node is a dual or single 64 bit processor Dell PowerEdge ™ 1850 1U server with 8GB of memory to accommodate processing of large images. Our typical web server node is a dual core Dell PowerEdge ™ 850 1U rack-mount server. Our typical storage server node has 2TB of storage (4x 500GB SATA disks) with a low power processor for energy savings. All nodes run a standard enterprise Linux. The system is built on top of open source components such as Apache, PostgreSQL, PHP and Java. Most administration tasks are easily performed by your System Administrators. We can also manage your system for you or simply provide support. Typical purchases include both on-site installation and training. Download a pdf version of the full brochure on the downloads/support page.